When you’re getting ready to make your own weightlifting set up at home or in a communal gym, finding the right equipment can be an overwhelming process. Even if you’re experienced at using equipment, you might not yet know all of the particulars of what makes some equipment better than others. 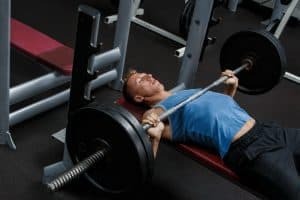 When choosing the best weightlifting bench, there are different models and brands on the market for all different types of specific weights and situations. The Ironmaster Super Bench is one of the most popular benches, but who is best suited for? Let us help you decide if this specific bench is a good choice for you or not. The Ironmaster Super Bench is an adjustable product that can be used to do various types of weightlifting at home with ease and comfort. The Ironmaster Super Bench is for anyone who wants to do weightlifting at home. It is made specifically for dumbbell, cage, smith machine, or rack use, but it can also be used as a solid surface to do body-weighted exercises whenever you need to do them. This product is also likely going to be a better option for those who have ample space for their home gym equipment. While it can be moved out of the way, this is a large bench that will take up a considerable amount of space. 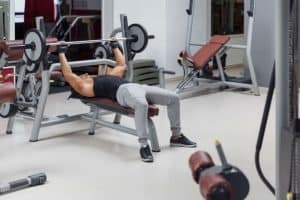 In addition, this bench is probably a better choice for someone who is very serious about exercise as opposed to someone who is not yet sure what kind of workouts he or she will be doing. With its price, size, and uses, those with more experience in the fitness world will find more applications with the Ironmaster Super Bench. In addition to the actual weightlifting bench, the Ironmaster Super Bench comes with an adjustable piece so that you can angle it to whichever angle you need. While they are not included with the bench, there are a number of optional attachments available for this particular bench. 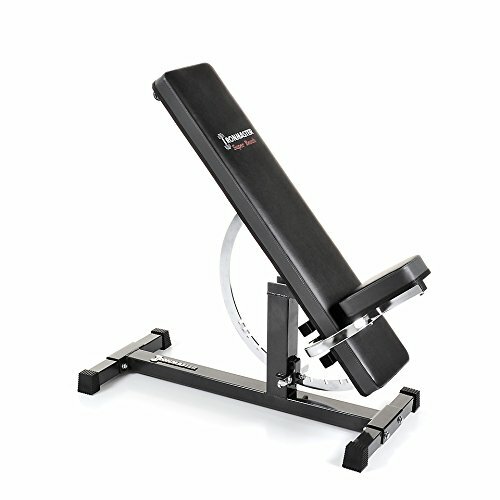 The Ironmaster Super Bench is a bench that is built for doing weighted exercises at home. 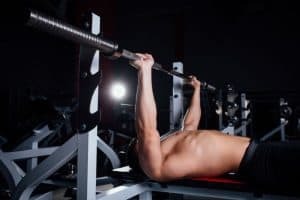 The bench itself has a capacity of up to 1000 pounds, which means that you can grind some serious weights without fear of the bench not being able to handle the weights as well as your body weight. This weightlifting bench has an adjustable angle which gives you a lot of versatility during your workouts. The bench has, in total, 11 different adjustment points that you can set it to. These points range from horizontal to upright and anywhere in between! While they are not included in the standard pack, this weightlifting bench can be easily outfitted with a number of optional accessories. Also, rather than needing to figure out ways to rig these add-ons up, you can use them with ease since they are made to be attached easily and quickly. These add-ons include a chin-up bar, and dip bar handles. The height of this bench is 20 inches and has heavy-duty, padding and double-reinforced stitching on the vinyl upholstery. This ensures that while the bench is comfortable, it is also very durable. Throughout many uses, you won’t see any loose threads! Finally, the frame of this bench is made out of 11- and 12-gauge steel. These grades of steel are super strong, so you can be sure that this bench can really hold up to the 1000-pound of total weight that is advertised by the manufacturer. How to Use the Bench? When you’re new to using an exercise bench, you might not be sure where you should begin when exercising with your new bench at home. After all, you’re used to setting up in a gym and having all of their equipment available to you. 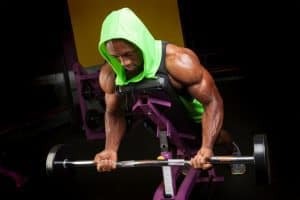 What equipment should you get to accompany your bench and get the best workout? 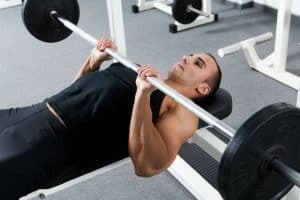 As you can see, just using your body weight and a solid set of dumbbells is a great way to get in a full body workout by using your new weightlifting bench. A weightlifting bench isn’t just for rack lifting, after all. In fact, the combination of dumbbells and the inclines available on a workout bench like this one from Ironmaster is the perfect way to get an intense and full-body workout at home without needing to invest in a lot of expensive workout equipment. 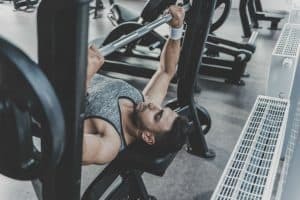 No matter how you end up incorporating your new weightlifting bench into your life, you’ll find that just having it available to you to use makes it easier to get in the exercise that you’ve always wanted to without needing to hit the gym. And that feeling alone is well worth the investment! If you are looking for an option that is more space-friendly than this large weightlifting bench from Ironmaster, you might find that a foldable bench like the Body-Solid Best Fitness Folding Bench is a better option because it can be folded up and stored away. One drawback is that it cannot handle as much weight as a permanent bench. If you want something that can hold even more weight for more intense workouts, the XMark Commercial Flat Incline Decline Weight Bench might be a good choice. This weight bench can hold up to 1500 pounds of weight, which is way more than the Ironmaster Super Bench,. That can be a huge difference to some lifters. 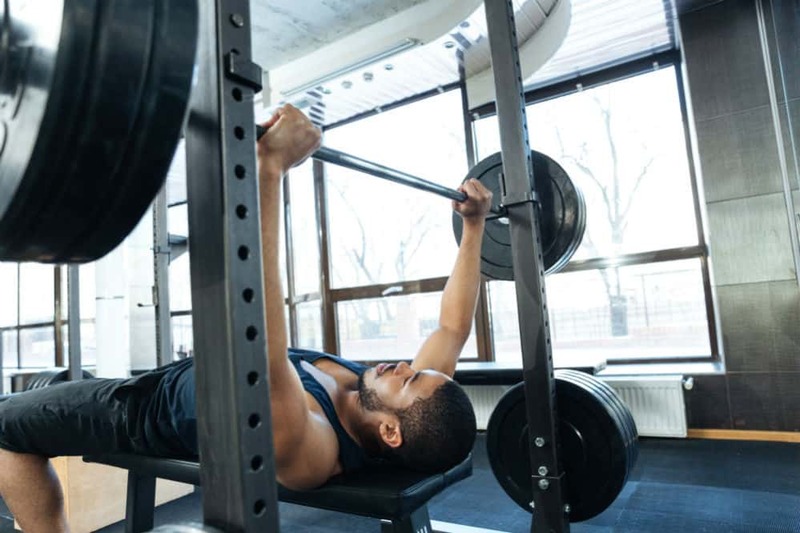 The Ironmaster Super Bench Bench is a great option for those who are interested in having a solid bench to do body- and iron-weight lifting without heading to the gym. With this equipment, you can be sure that you’ll have the stability that you need to get stronger more efficiently and quickly. Even if this bench doesn’t end up being the perfect choice for your home at this time, the features that you find on it might help you discover what you do and do not need in your bench!